For decades, Ibiza has been a refuge for just about anyone, and this is largely thanks to its geographic location which gives the island a sense of genuine isolation. This has made it a perfect hideaway for different social classes, spanning from celebrity to the bourgeoisie to the hoi polloi, ever since the days of the Spanish Civil War when outsiders were positively welcomed. Indeed, that laidback, carefree, mind-your-own atmosphere synonymous with the island is one trait that has endeared it to many through the decades, a trait that is still palpable to this day. A trait without which Ibiza would not be the island it is today. The first hippy invasion of Ibiza can be traced back to the 1930s, although this is not a mention you are likely to hear often. Reason being they had hardly settled on the island before the Spanish Civil War broke out in 1936 causing them to flee. Then came the 50s when creative types from around the world, most notably Hollywood, made the island their regular getaway – the likes of Errol Flynn, Elizabeth Taylor and Ursula Andress. These were then followed by Brits like Denholm Elliot, Maggie Smith, Terry Thomas, Diana Rigg among a host of others. This was the first trailblazing lot who laid concrete for the solid wave of hippies that followed in the ‘60s-‘70s – all non-conformists who were escaping the political and economic situation in their home countries for a society that embraced more freedom of thought. These included the rich kids from the United States who were shirking the Vietnam draft, a group that led to the flower power revolution. Flower power was a slogan coined by Allen Ginsberg, an American poet, in 1965 as a way to make peaceful affirmative spectacles of war protests. The movement embraced the symbolism by donning vibrantly-coloured outfits with embroidered flowers; some worn in the hair, others distributed to the public. This spawned the term flower children, an expression that was later generalised to refer to the hippie movement and its counterculture of long-haired bearded individuals, drugs, social permissiveness, psychedelic music and psychedelic art. It’s not a culture that left a good taste in the mouths of authorities and traditionalists. It thus came as no surprise when the Diario, the island’s newspaper, published a rather derogative article about the incursion of some rather grubby beings christened ‘els peluts’, meaning the hairy ones. That mattered little though. They had already yarn-dyed the younger generation which loved the new sense of freedom the hippies brought to the island. By the 1970s, the hippie invasion was already in full bloom in Ibiza, and many who bought into the movement would collect and vend artifacts to fund their travel. And just like that, Ibiza became a core part of their global hippie trail. 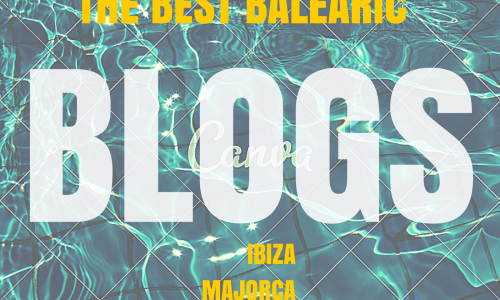 You see, the Balearic Island had all the ingredients to spice up their ideals: its tranquility, its virgin natural beauty, the great climate, the energy, a cosmopolitan society, and most of all, a place that did not place restrictions on the kind of life they wished to live. Elsewhere, they were scolded for not growing up. Not in Ibiza. Here, they were welcomed with open arms. In a place that had little tourism at the time. A place that supported affordable living. And a place that was devoid of a sense of fear, or insecurity, or mistreatment, or theft. It was a dream. The hippies of Ibiza preferred to live in secluded country houses or communes, far from the city. Others were allowed to seek refuge under the arches of the church in San Carlos by Pep Negre (popularly nicknamed the hippies’ priest), and also perform their music inside. And Bar Anita used to open its window to swarms of them lining up to pick their money orders. In 1973, the first hippie market was born in the now family-friendly Santa Eulalia, where the Punta Arabi hotel (located in the resort village of Es Canar) welcomed them to vend their artifacts under the shade of their pine groves. The peluts (a name that came to be embraced over the years) lived in harmony with the native payeses, exchanging lifestyles and knowledge. It was a period in the history of Ibiza that paved way for what the island has become today. In truth, the arrival of mainstream tourism has diluted the hippy spirit and turned over half of the island into the kind of world they escaped from in the first place. Not so much as to the laidback and carefree attitude, but the superficial, capitalistic modern world the island has metamorphosed into. An island where you need to spend several hundred dollars to enjoy yourself a good night. Large parts of it, that is. There are some corners still laced with the magic of those many decades ago. Benirras is one of them. You can catch dozens of hippies who congregate here at the sunset of every Sunday. They play drums and engage in dance and fire shows as the sun dips into the sea. Es Canar still plays home to the Hippy Market which is today the biggest on the island, featuring hundreds of stalls. But it’s more than just a market. The place itself is peculiar to a degree, and this means it has become a stop for many during the summer season. You’ll find it open every Wednesday from April through October. And during the weekends, you can visit other markets such as Sant Jordi, Cala Llenya or Dalias where you’ll find both new and second-hand items and crafts. There are also other special spots and places of worship for hippies today. These can be found at Cala d’Hort, Punta Galera and Atlantis. The hippy movement is still alive on the island of Ibiza, and today, the two entities have become one and the same.